Jaded Blossom: Going Bananas for Bananas Bread! Happy Monday!! It's Barb from BugBites here and I have a recipe page I did using some awesome JB products. I love trying new recipes and if they are good ones, I love to crap them. I have 5 recipe albums now with 8x8 recipe pages in. This is a new banana bread recipe we've been trying in our house and I think it's a keeper. My recipe page is 8"x8". I added a tag line across the top using the Jaded blossom Baked with Love stamps and added hearts form the Birthday Dies. The spatula chef monkey is holding can be found in the Baking Dies set. 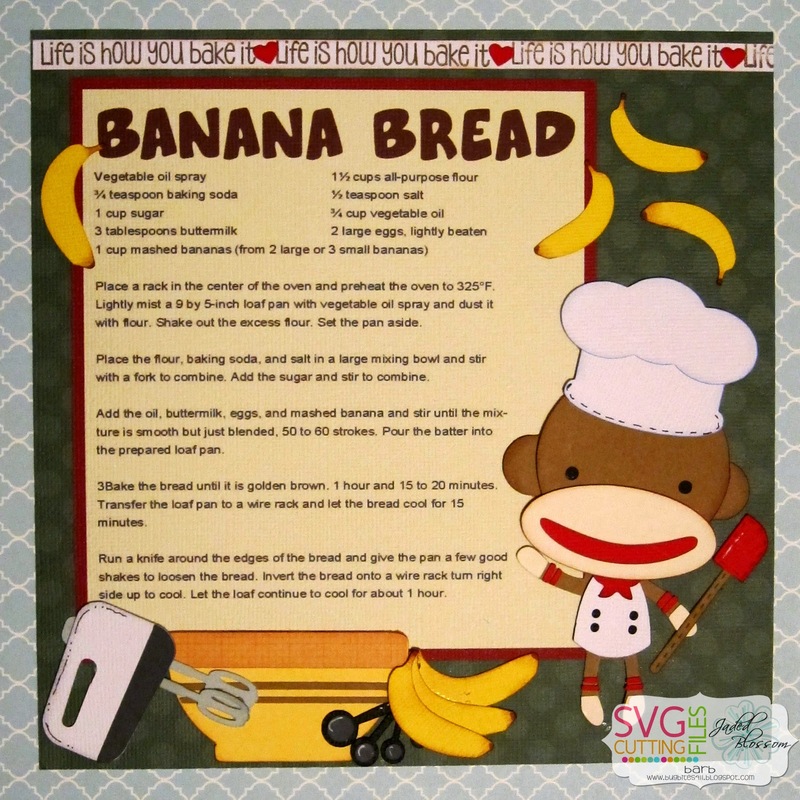 Chef Monkey is a mash up of the Sock Monkey Mayem and What's Cooking svg files from SVG Cutting Files along with the Kawaii Banana file. Its banana bread after all. Just wanted to tell you again how cute this is!